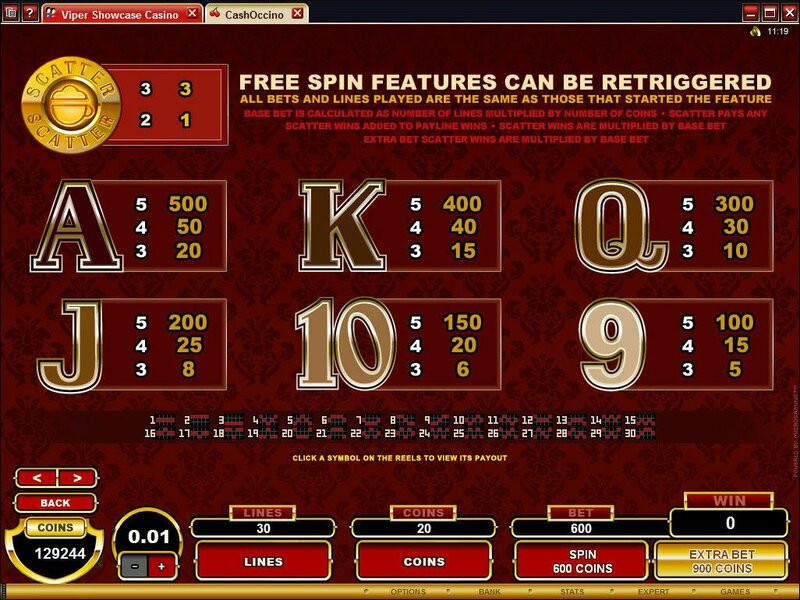 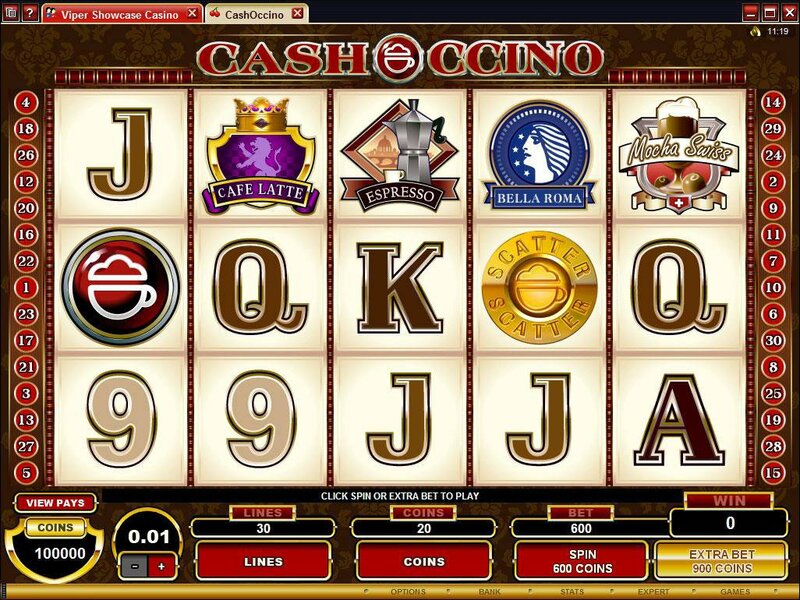 Overview: There's absolutely no danger of dozing with the latest video slot, CASHOCCINO! 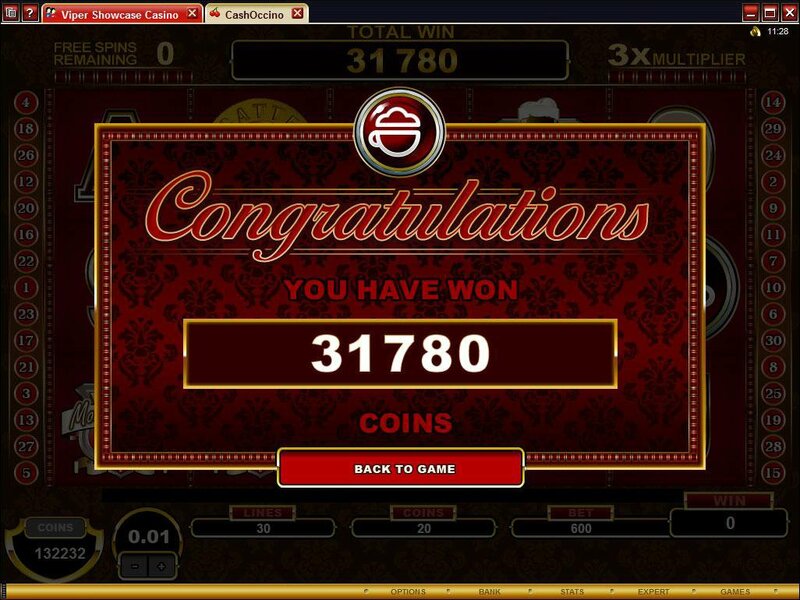 This 5 reel 30 pay-line game is as rich and stimulating as the best European brew and can deliver exceptional financial rewards, along with great entertainment. 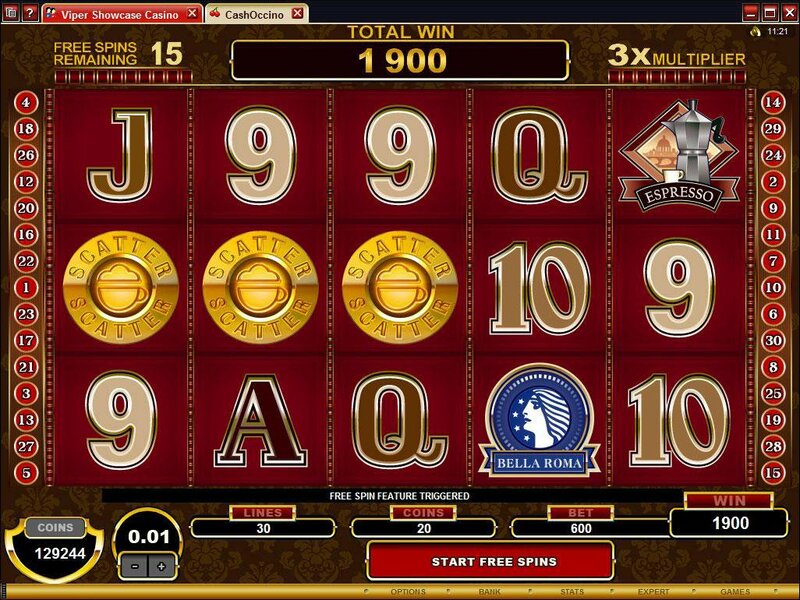 The unusual theme here is coffee, that wonderful elixir we all need to rev up each day, and the crisp, full colour graphics portray the variety of types available in this great barista beverage. 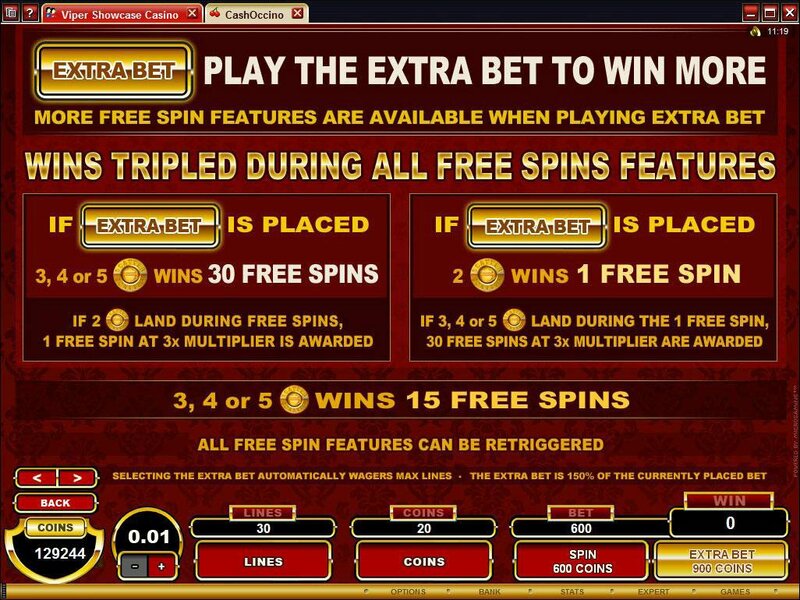 The really valuable symbols in this game are the cappuccino icon, which acts as the Wild and helps to build winning combinations, and the gold Scatter button, which is the player's passport to Free Spins aplenty - any of which can retrigger - in this multi-featured slot. 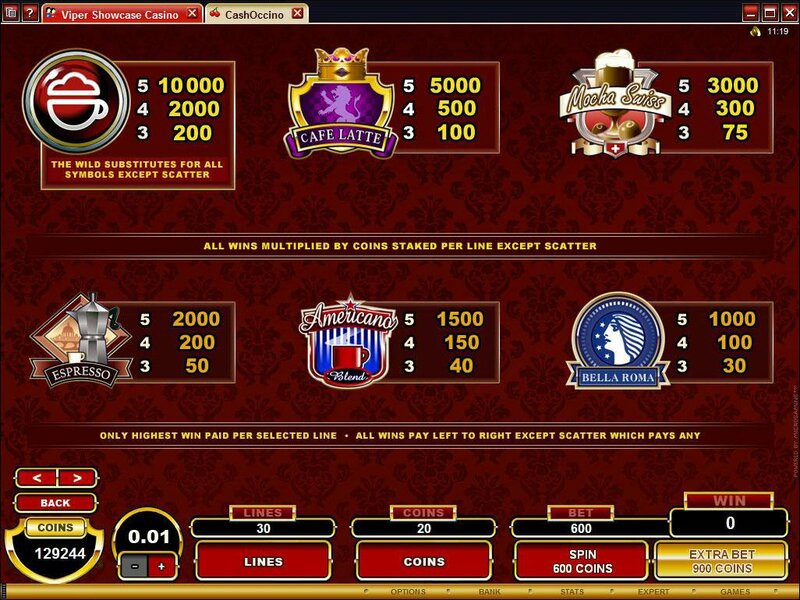 Similar Slots: If you like CashOccino, you might like these other 5-reel slot machines: Cabin Fever, Cashanova, Jonny Specter, Oriental Fortune, Steinfest, Winter Gold.